HMP offer high quality Heavy Duty Lathe Machine to meet all your requirements. They are designed to generate objects that have symmetry about an axis of rotation. These HMP lathes are used for precisely machining stiff materials. The devices incorporate the recent technology to ensure improved performance. The machine is economical along with features like robust, sturdy and efficient. The products are manufactured are precise and highly accurate. 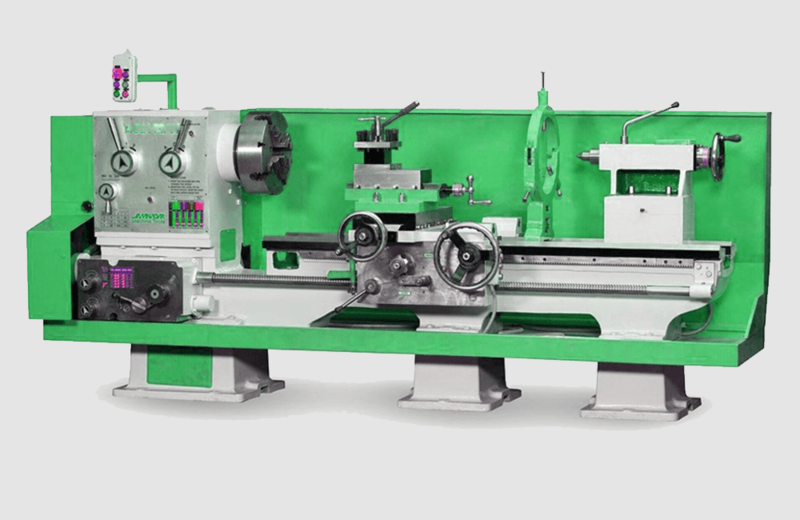 These Heavy Duty Lathe Machines are equipped with dedicated features like ground headstock spindles and stout one piece planar lathe beds which provide for a solid base and simultaneously facilitating seamless parallel movement of carriage and tailstock in alignment with the axis of the spindle. The alloy steel is used to provide potency and sturdiness to the machine for lasting durability. A specialized oil pump is used which helps to lubricate the rotating spindles and bearings in order to give more power to the machines by neutralizing the inner frictions and tensions within the lathe mechanism and also assists in the process of cooling overheated parts.